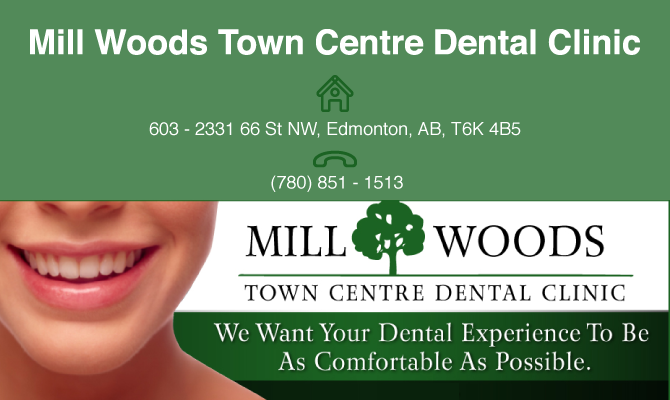 Trust an expert dentist at Mill Woods Town Centre Dental Clinic. We provide superb dental care and preventive dentistry to help you acquire the optimum oral health. Our peaceful and clean clinic will provide you and your family with a relaxing dental experience. Mill Woods Town Centre Dental Clinic offers a variety of dental services such as preventive dentistry, dental implants, children’s dentistry and other dental services. Our friendly staff and dentist are always ready to assist you in all your dental care needs. Trust a clinic that looks forward to helping you achieve that healthy smile.